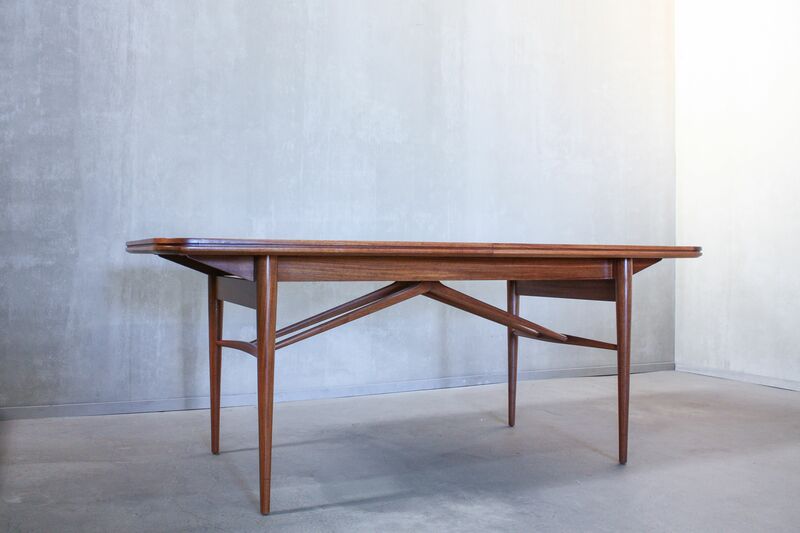 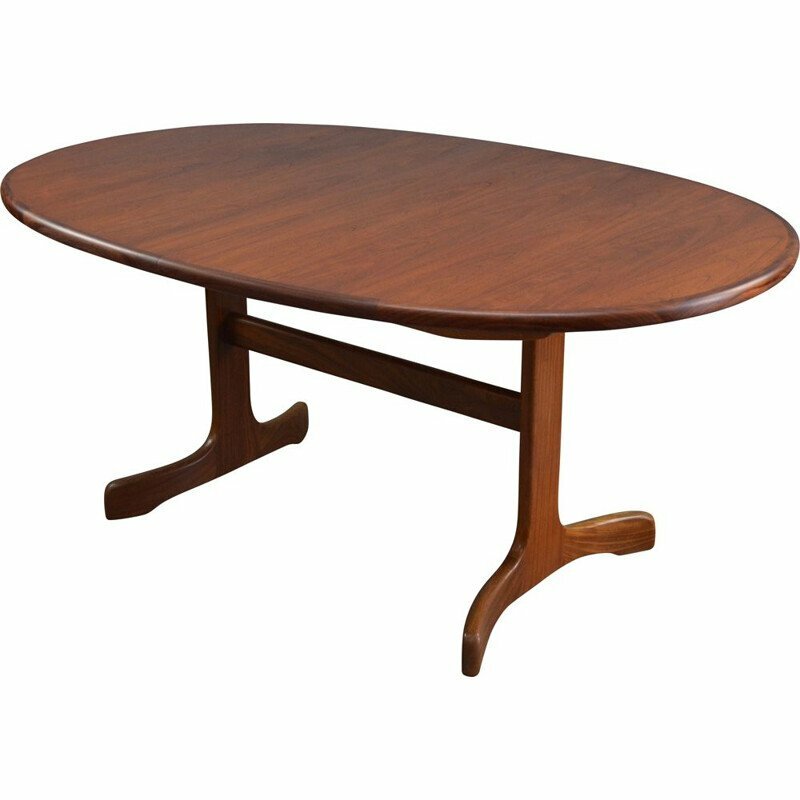 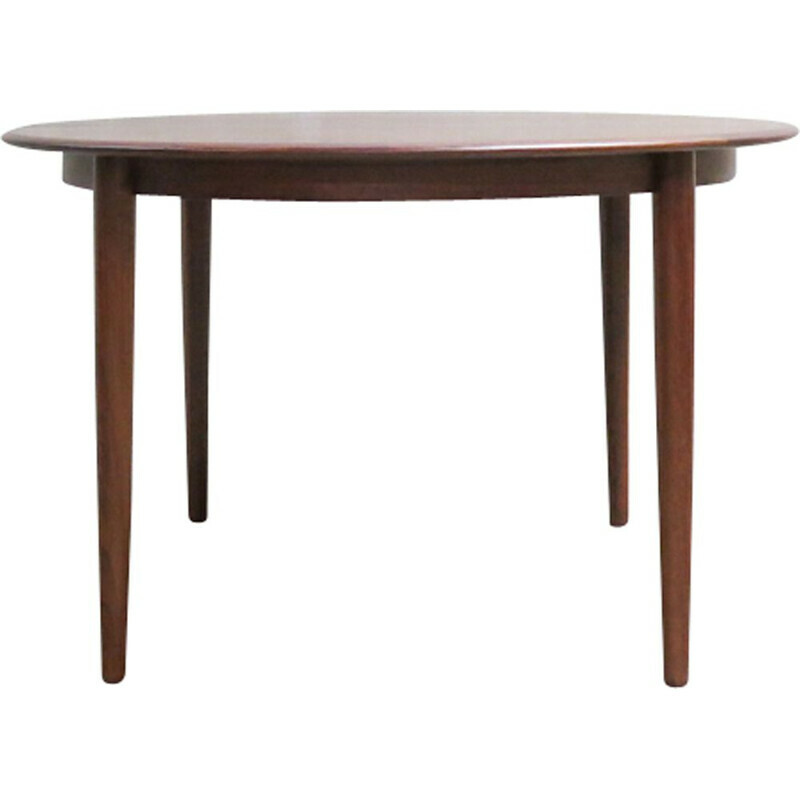 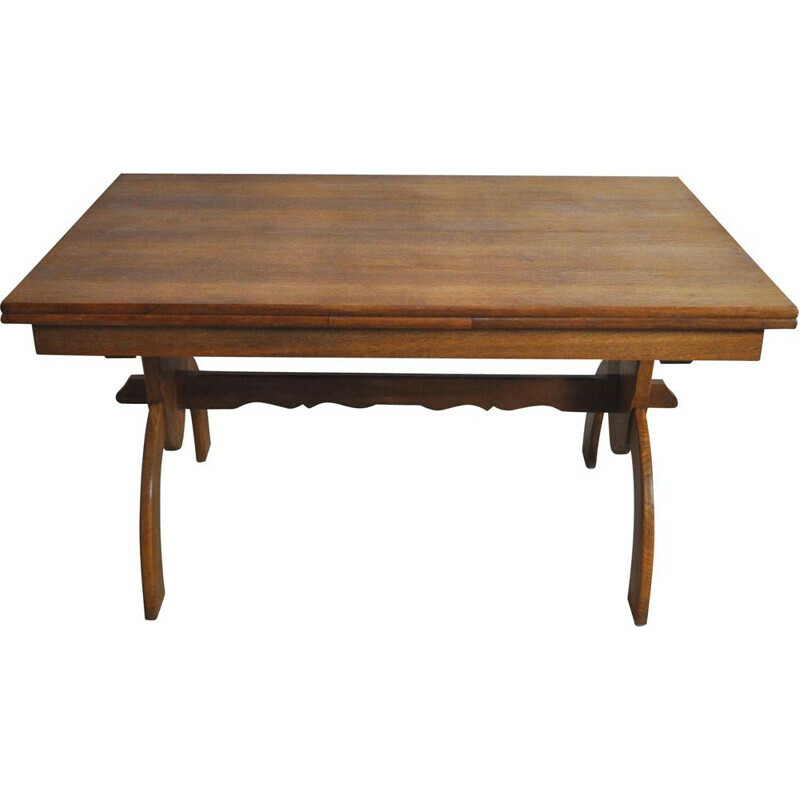 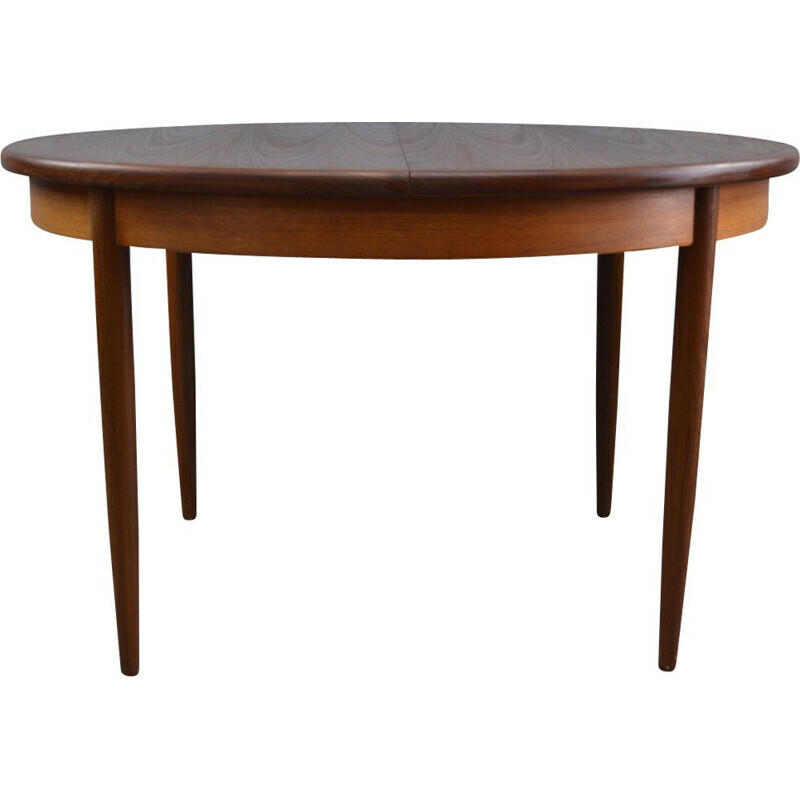 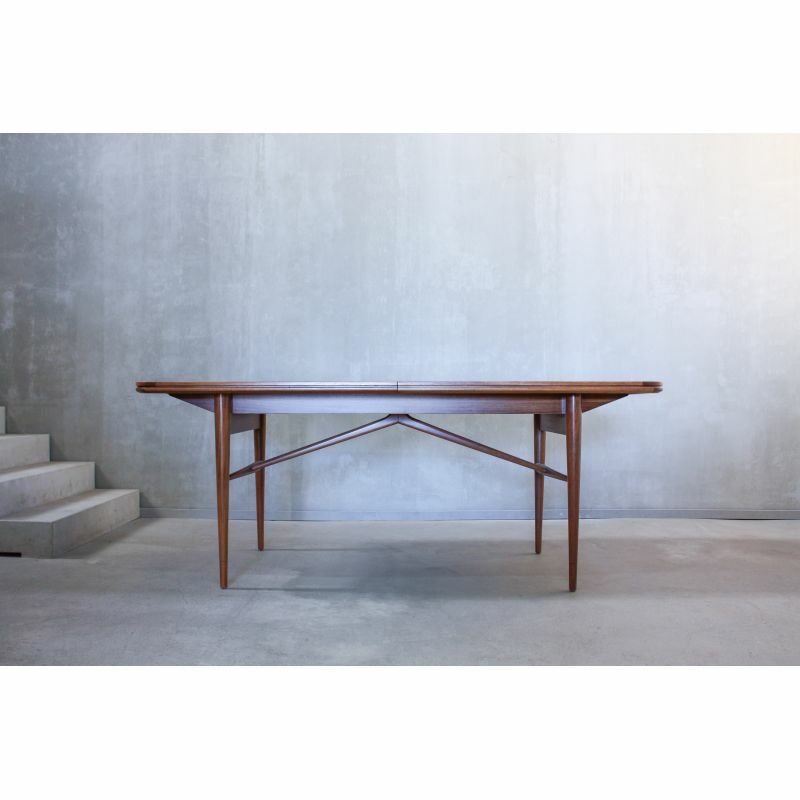 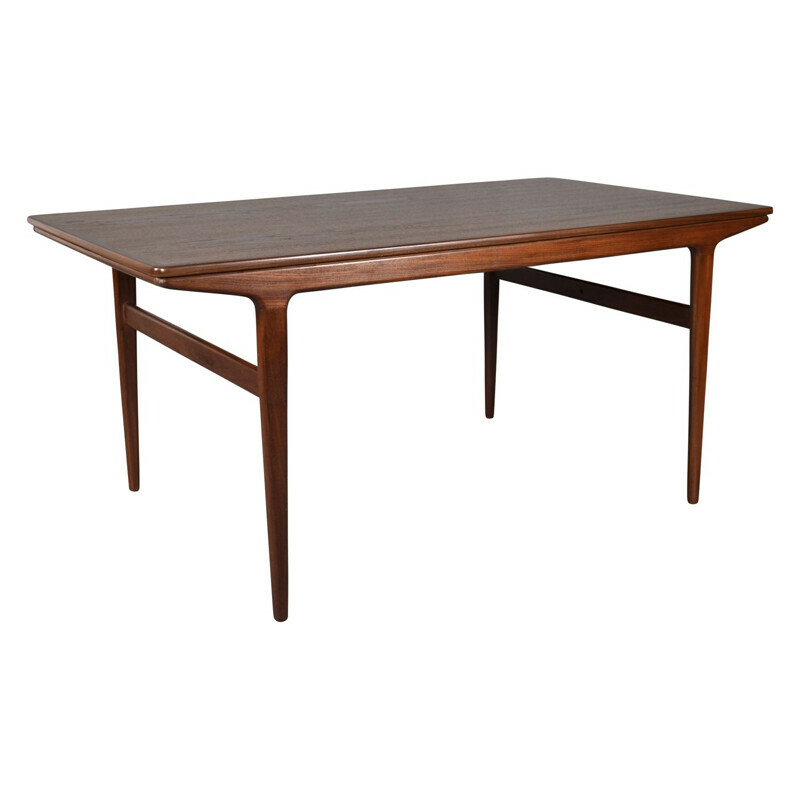 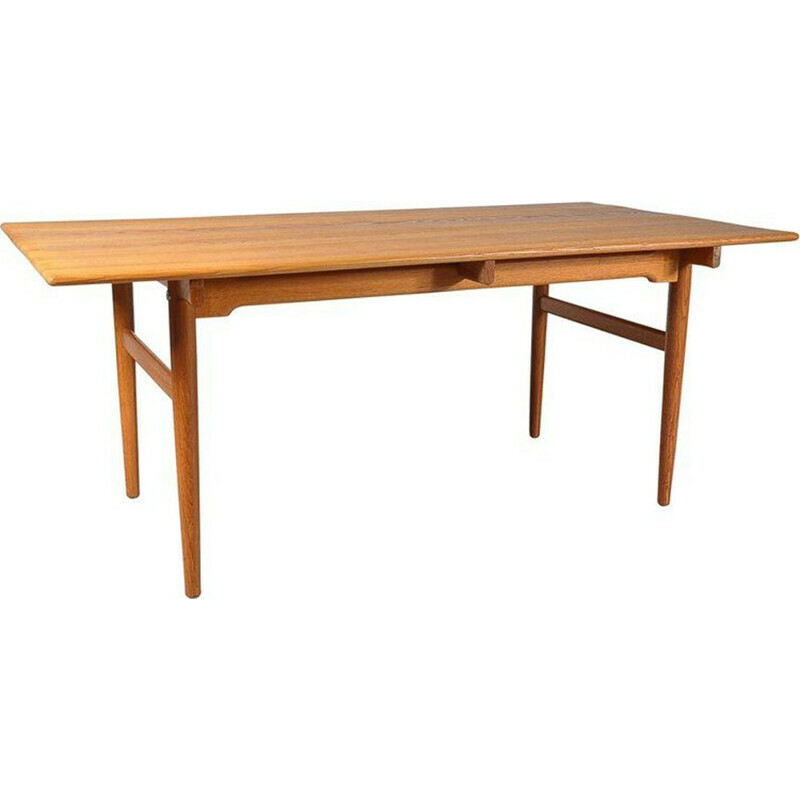 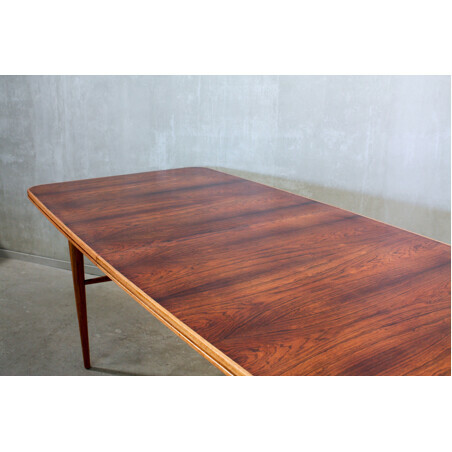 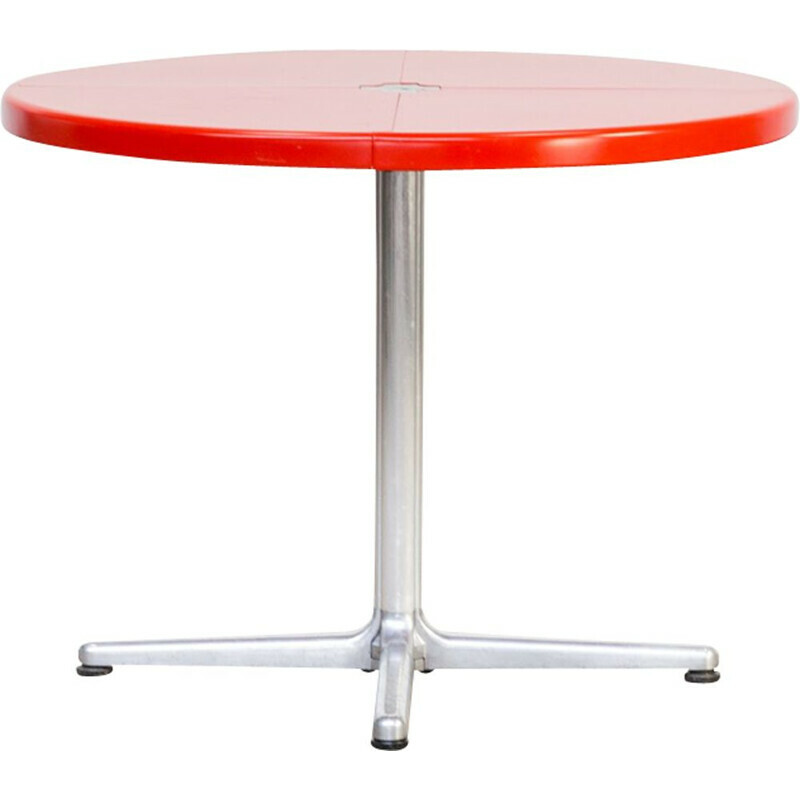 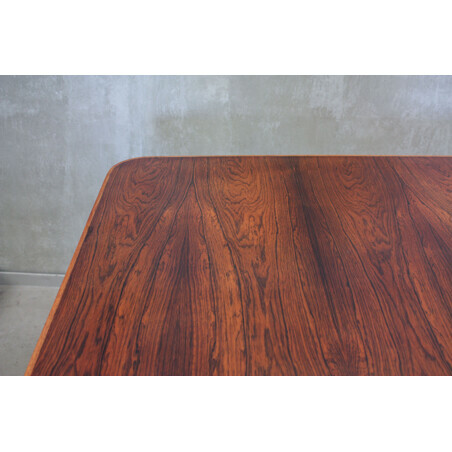 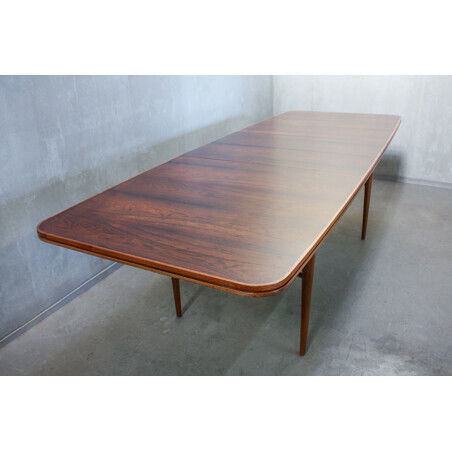 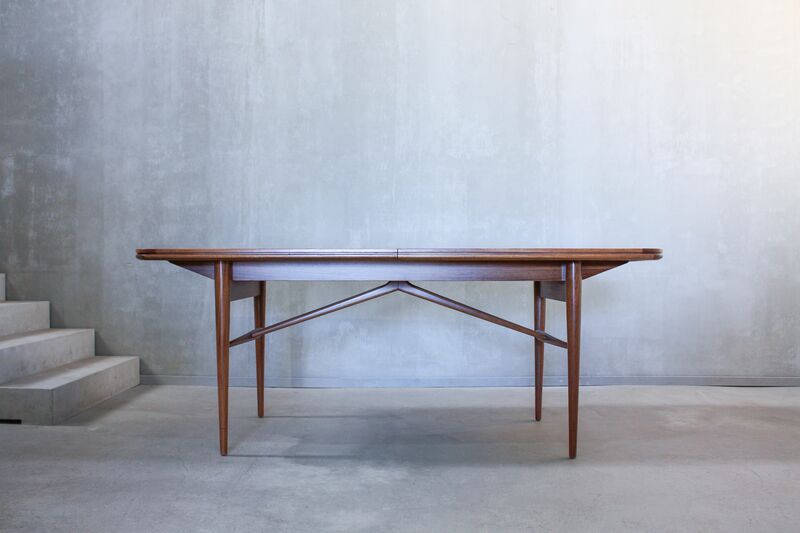 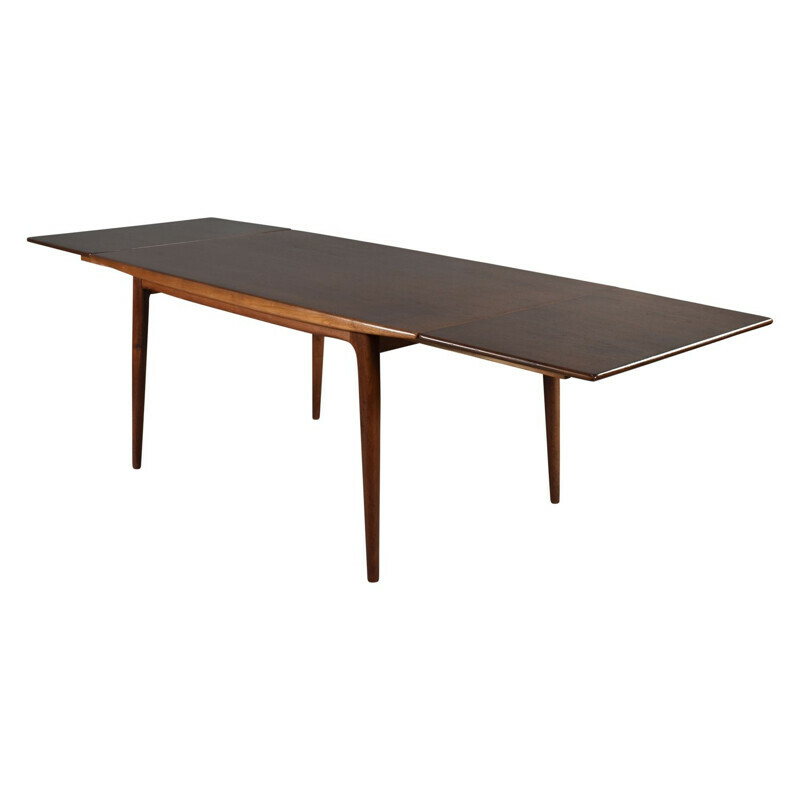 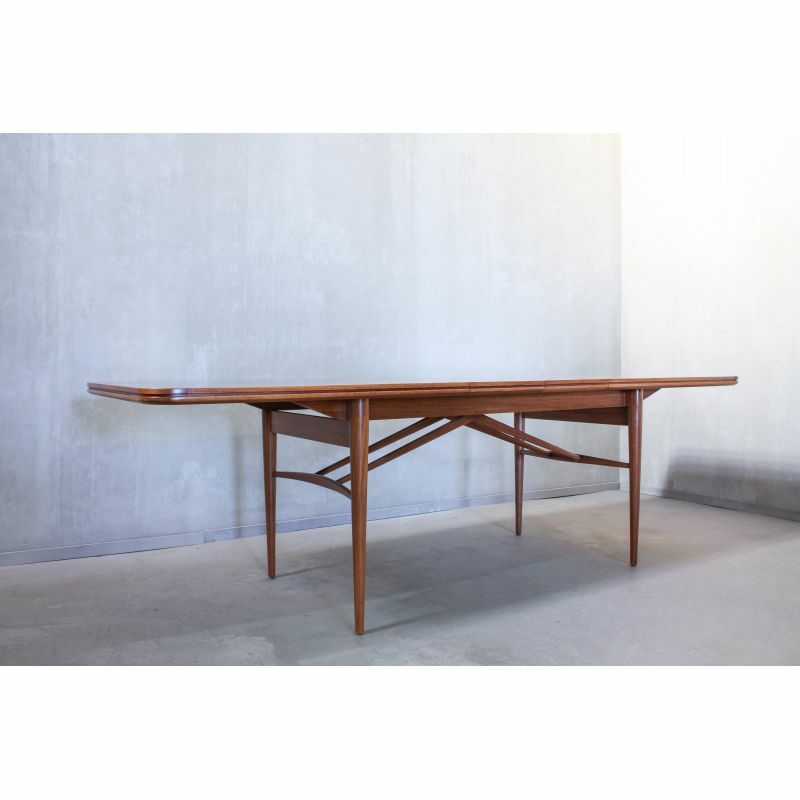 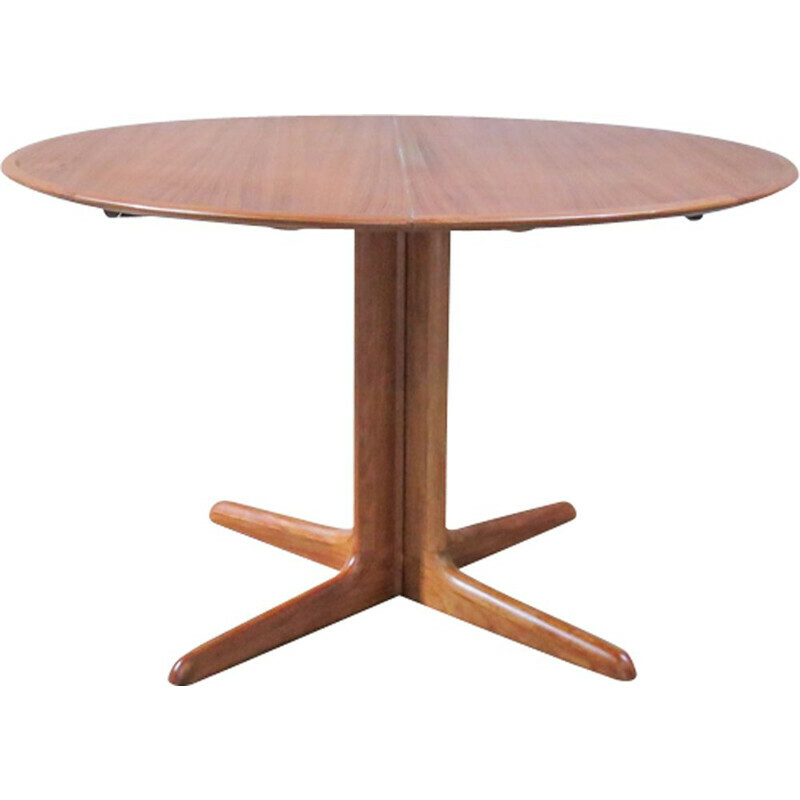 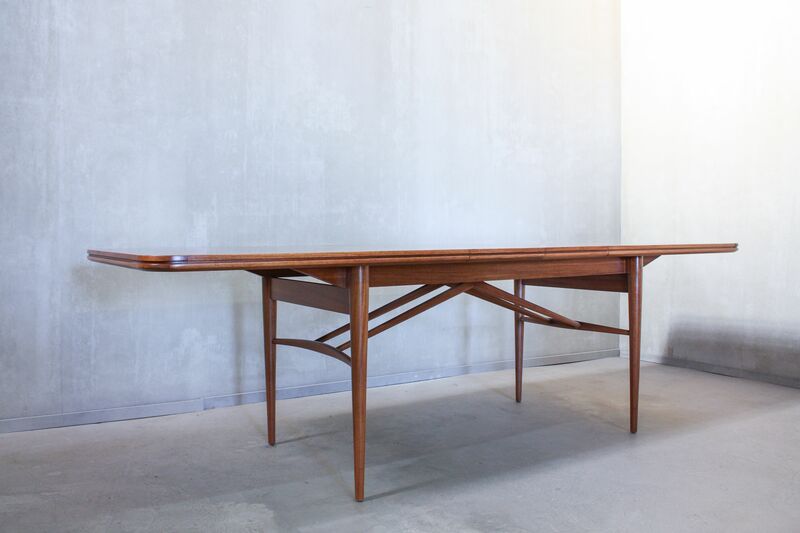 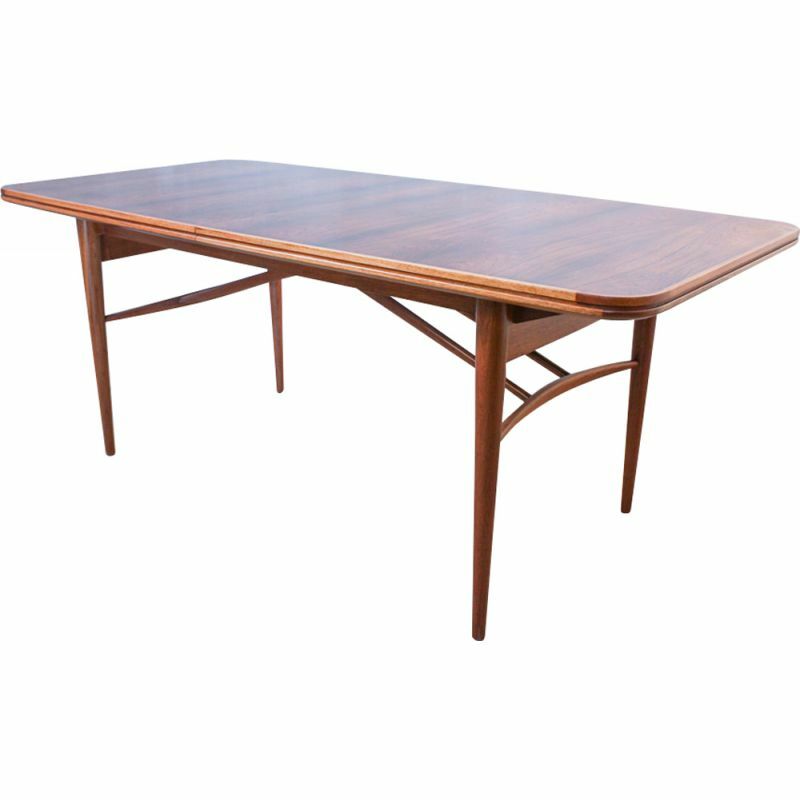 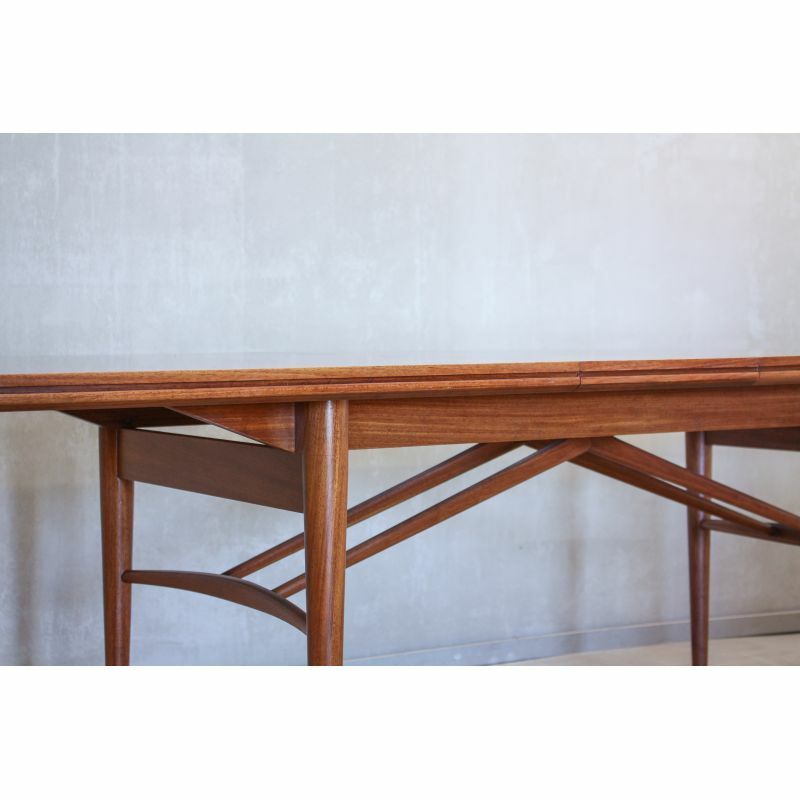 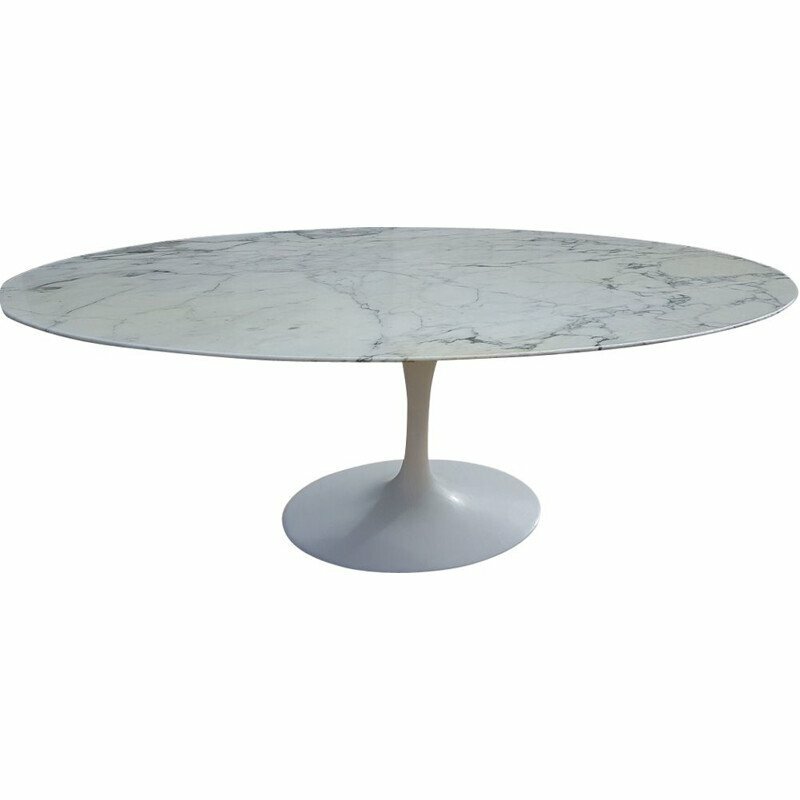 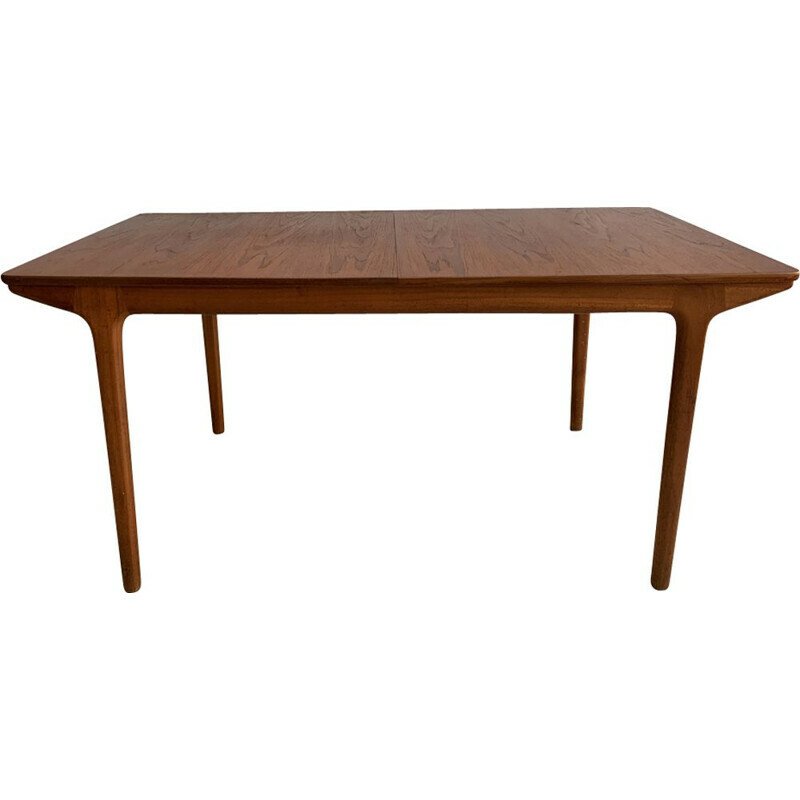 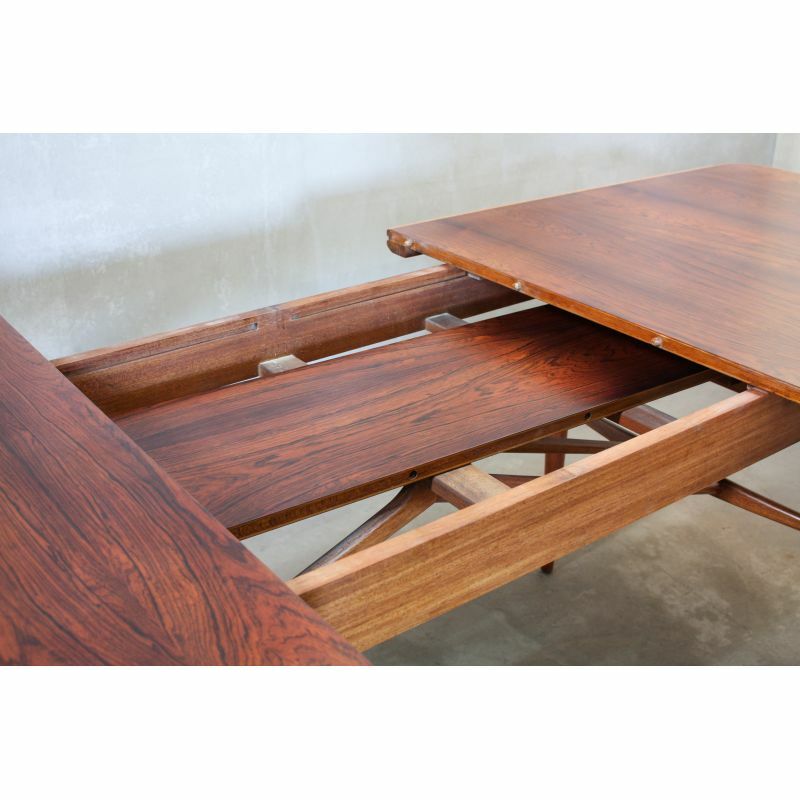 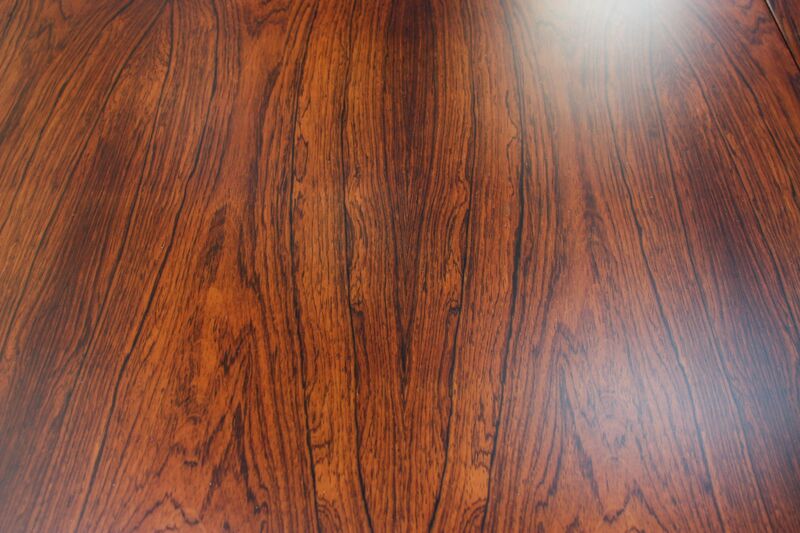 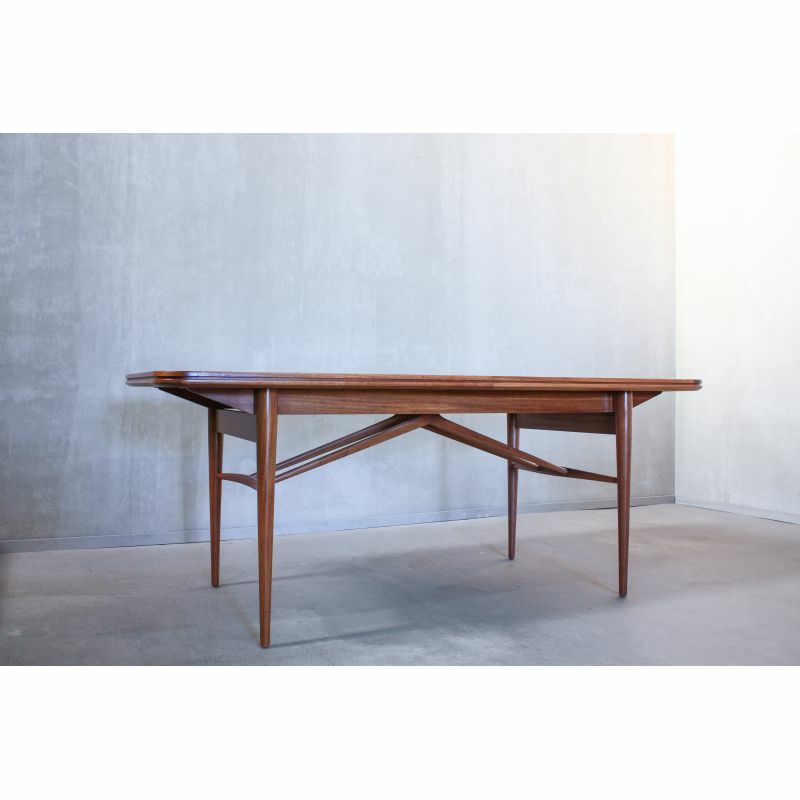 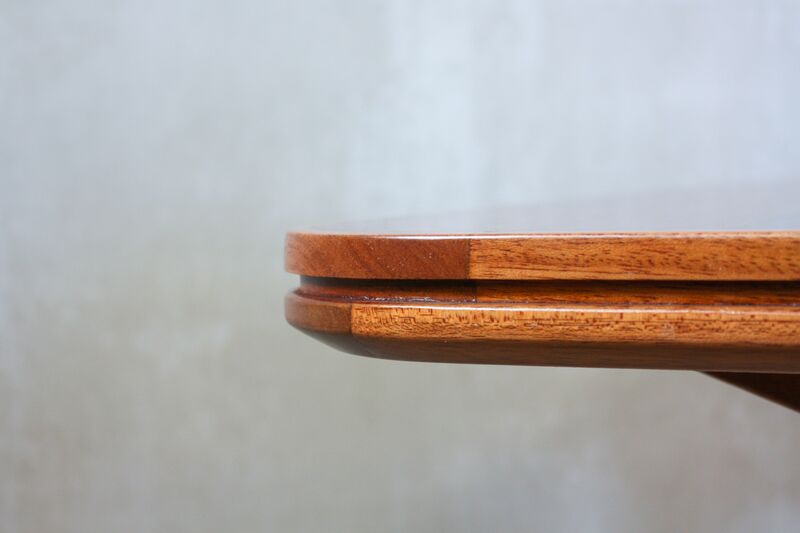 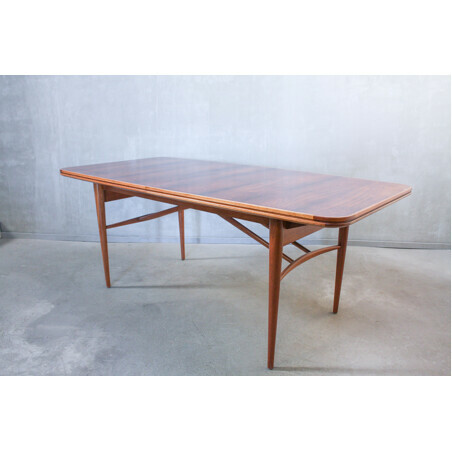 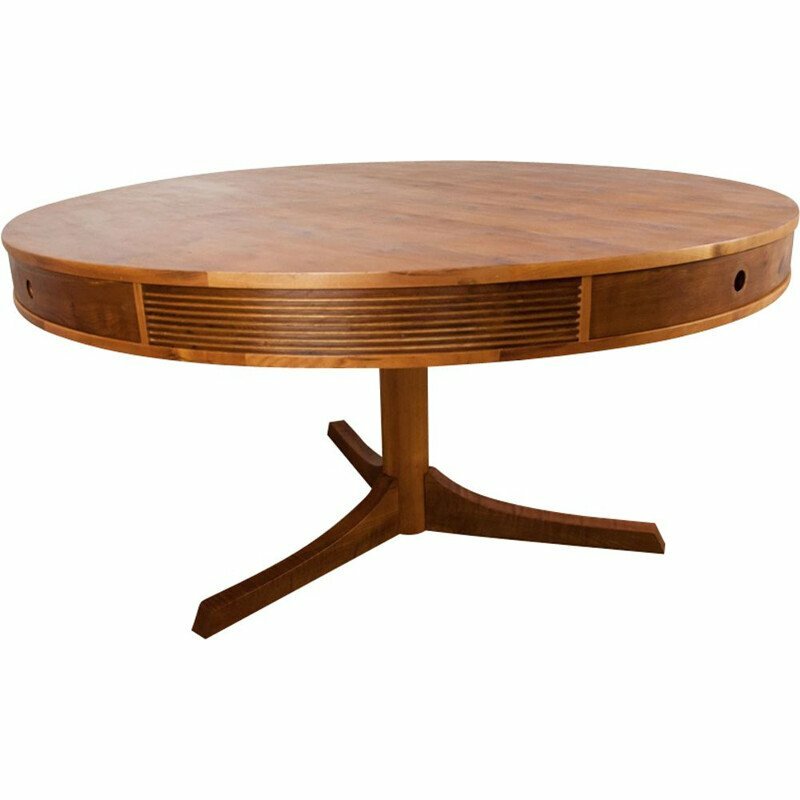 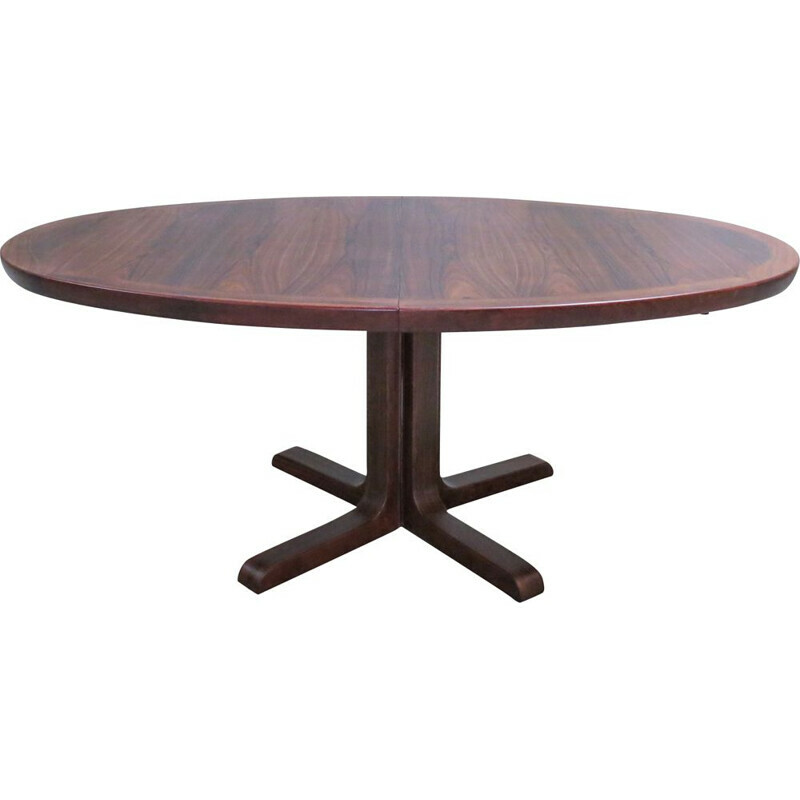 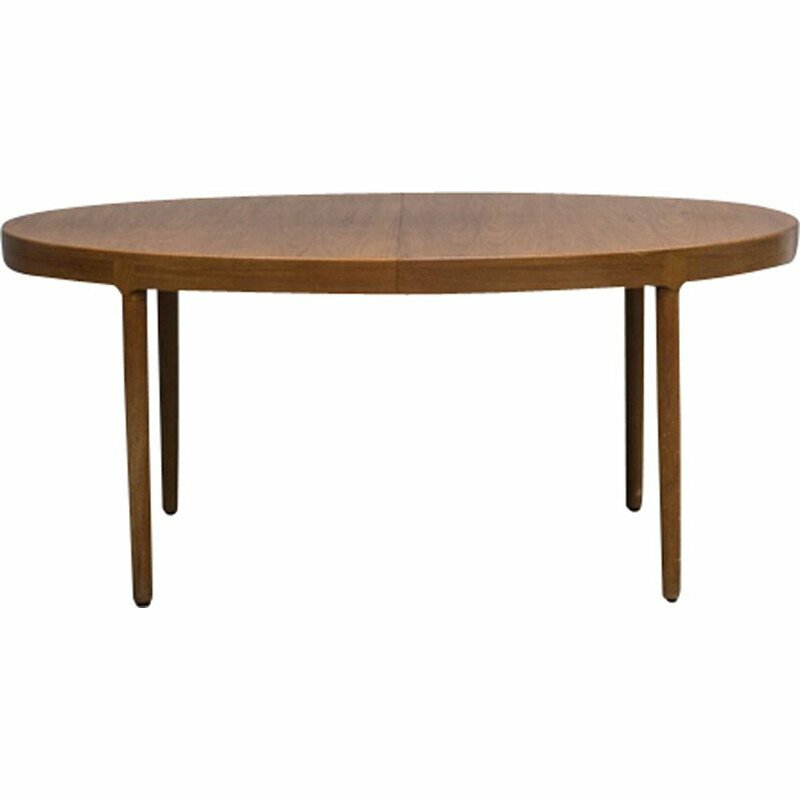 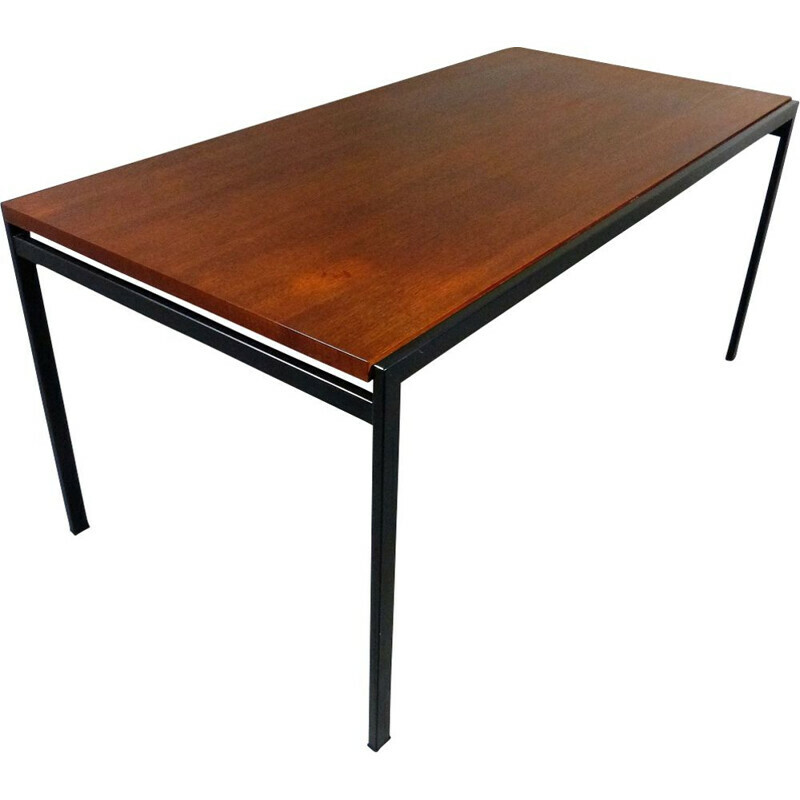 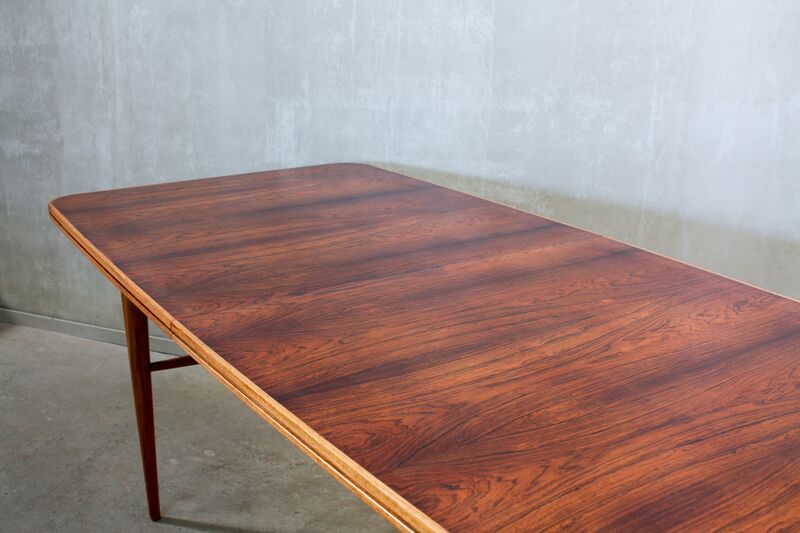 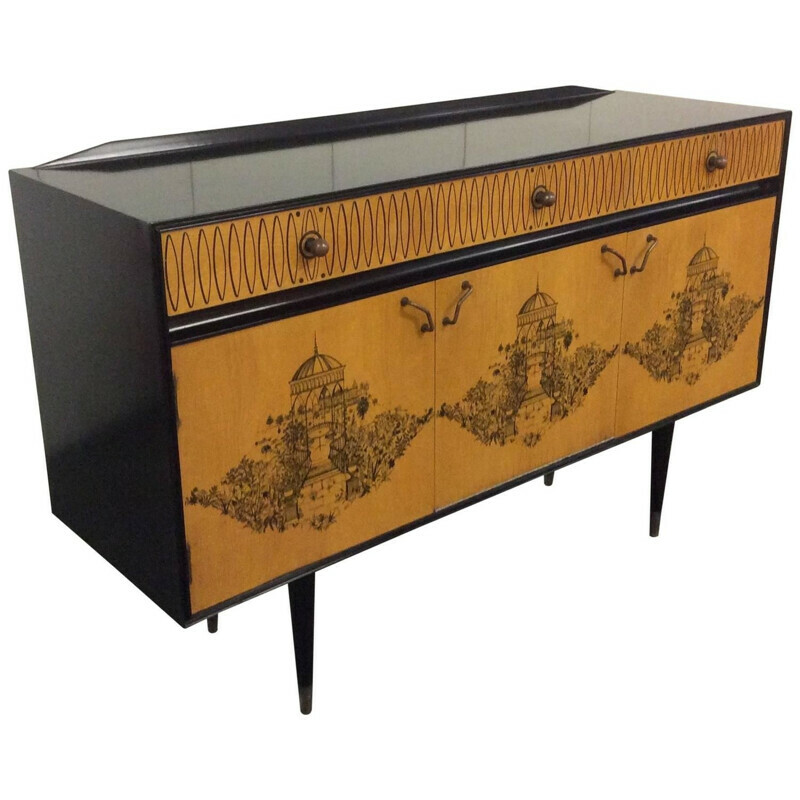 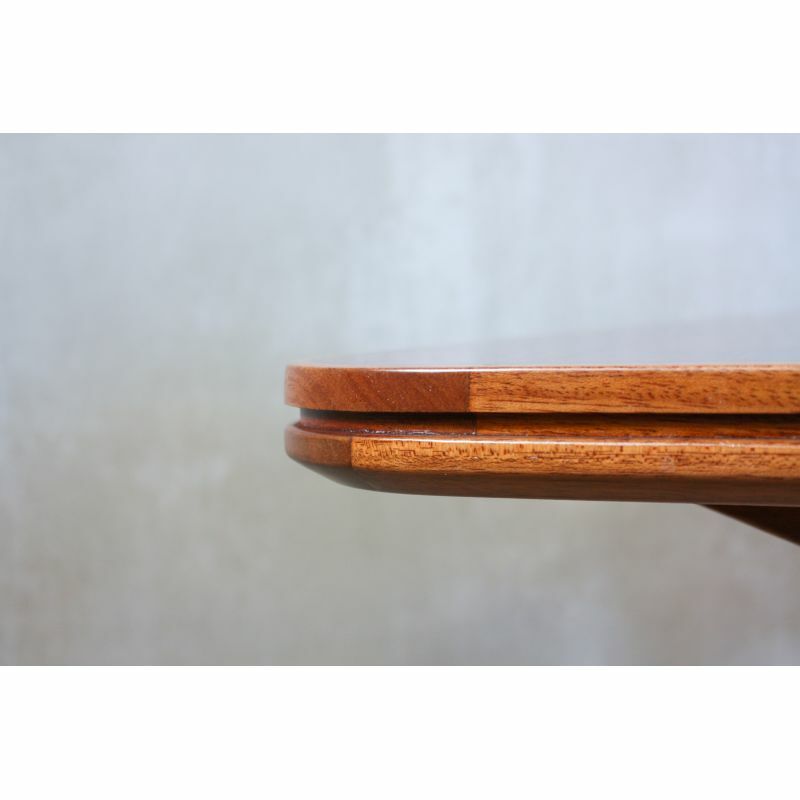 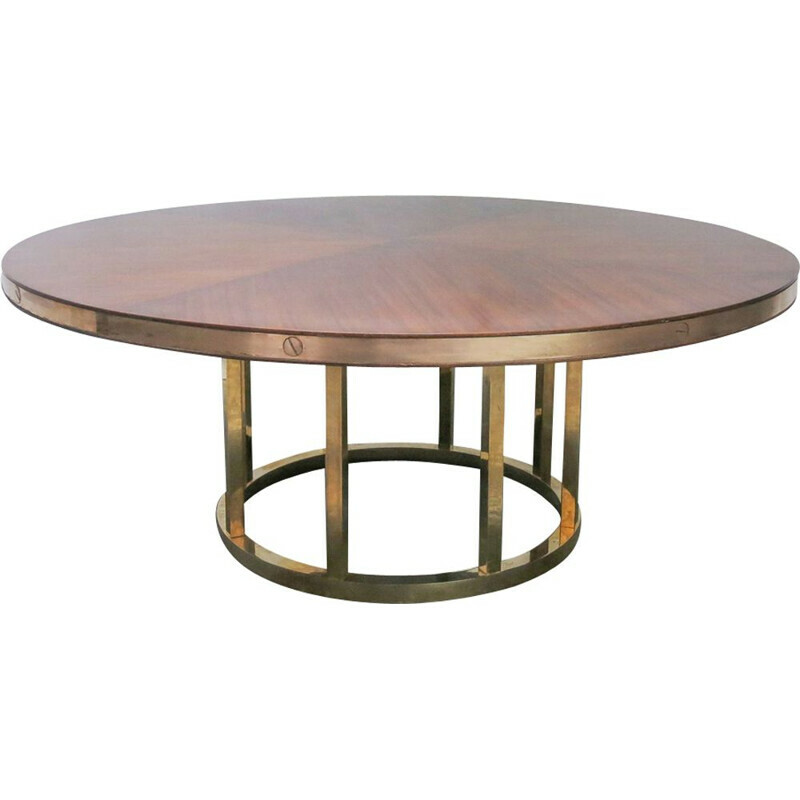 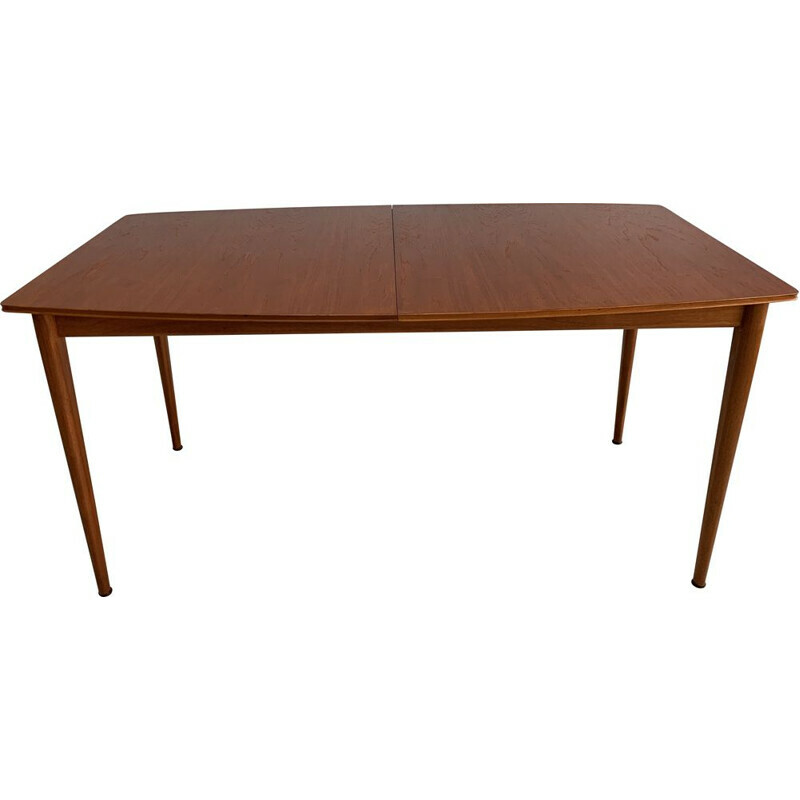 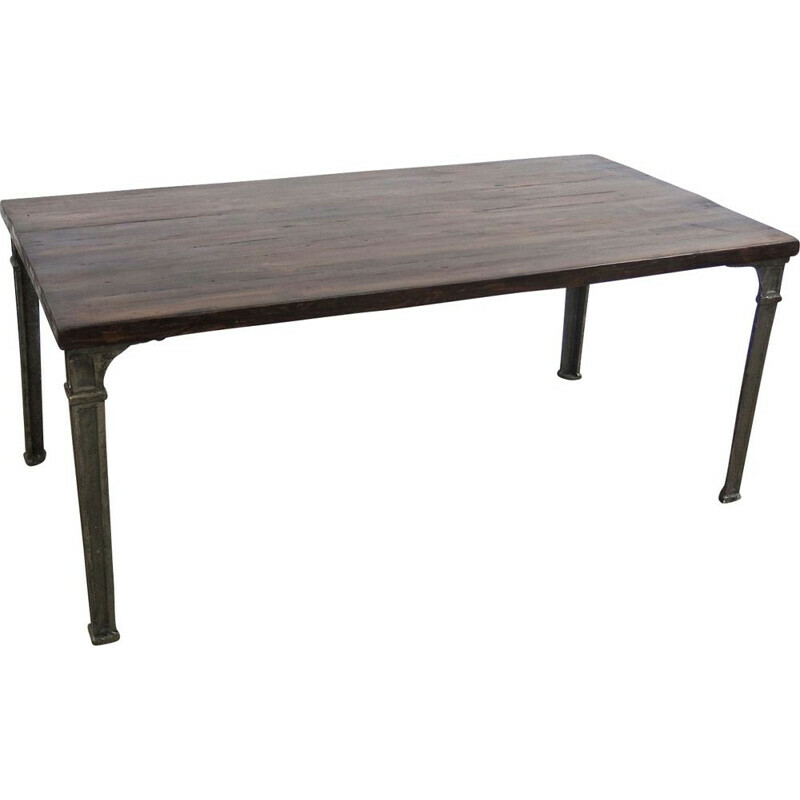 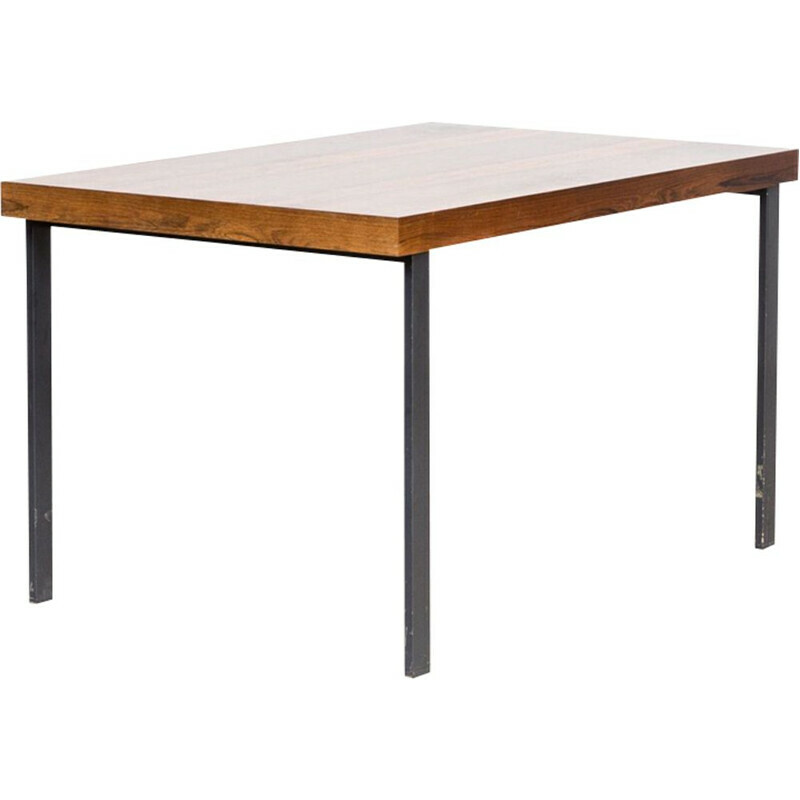 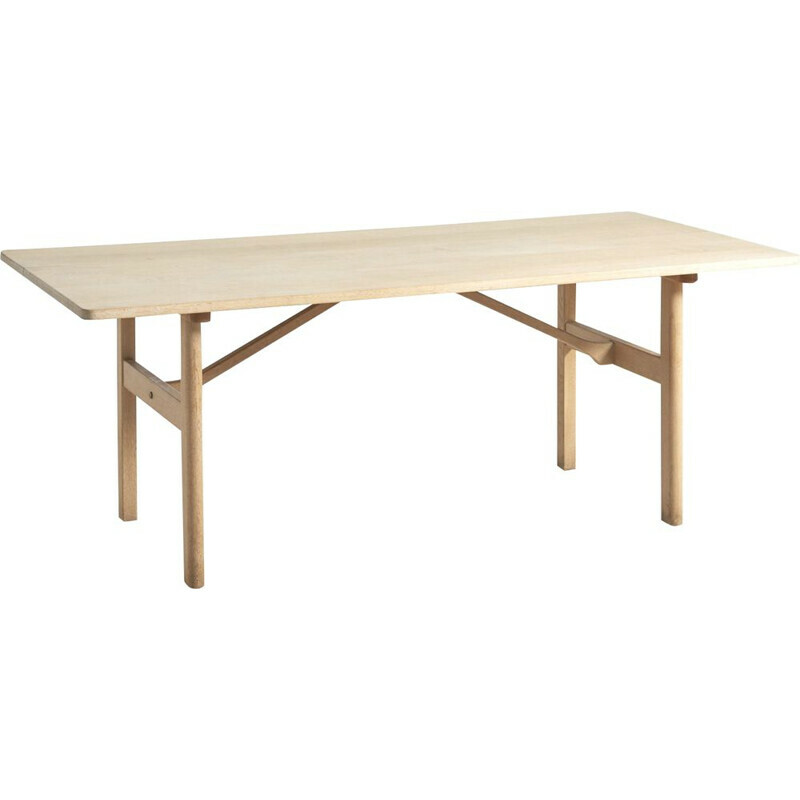 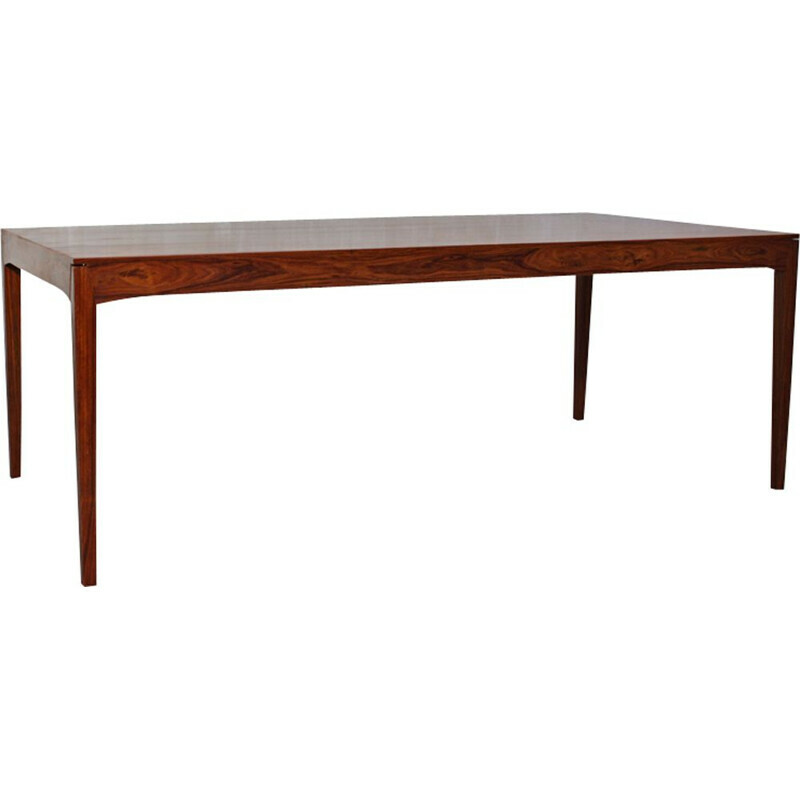 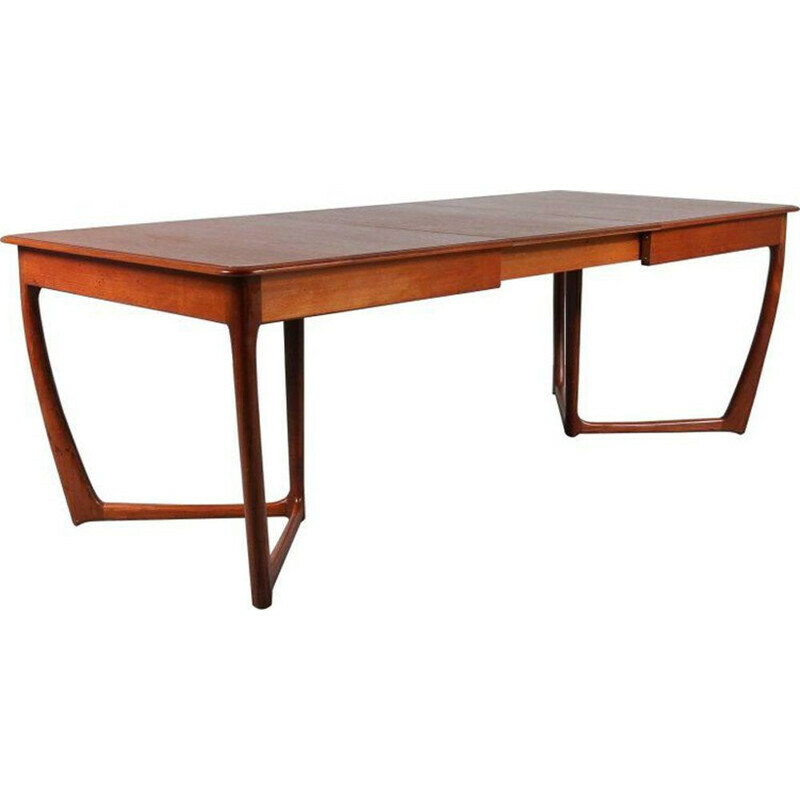 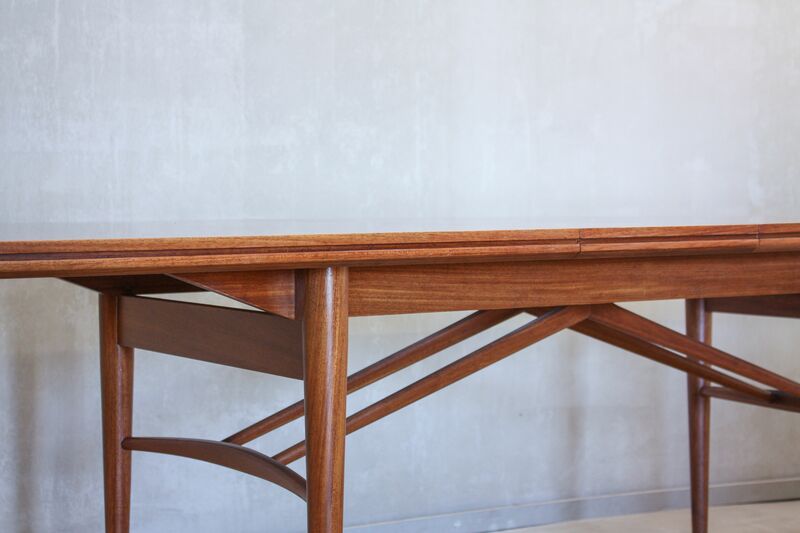 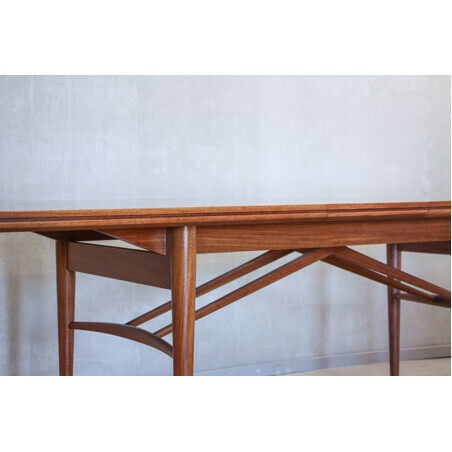 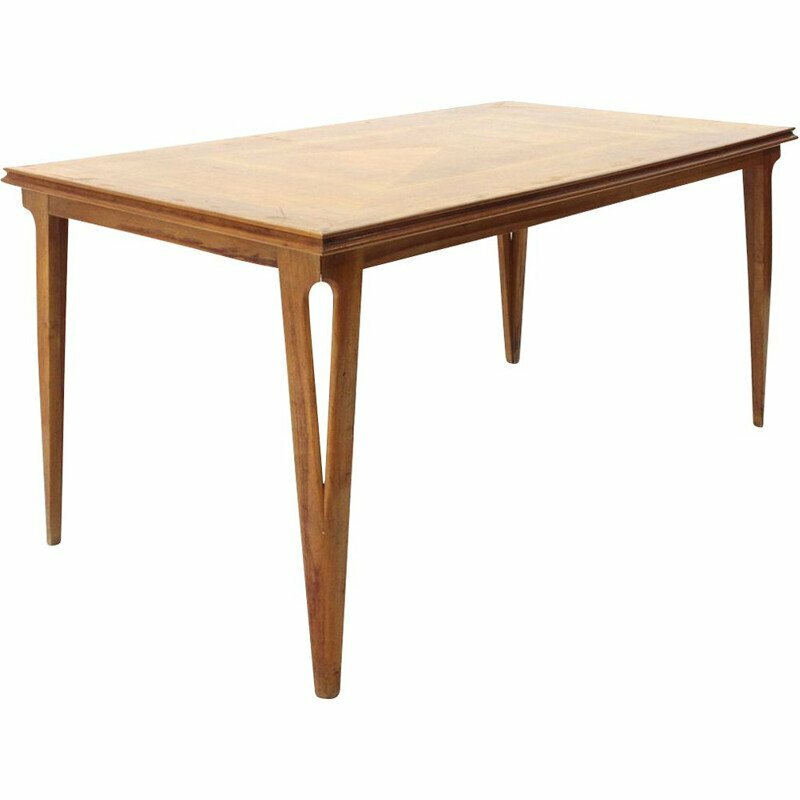 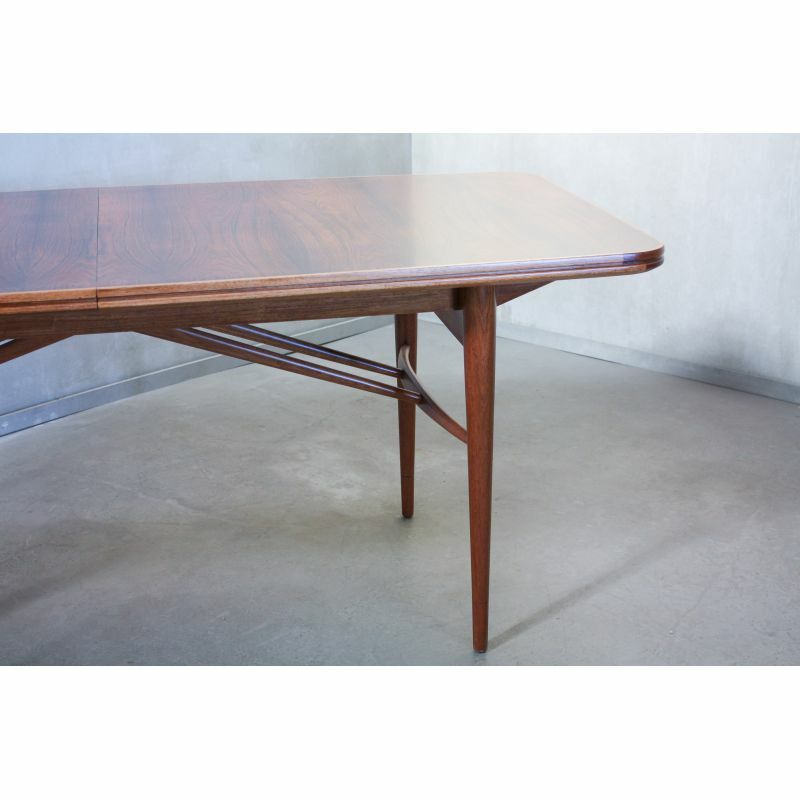 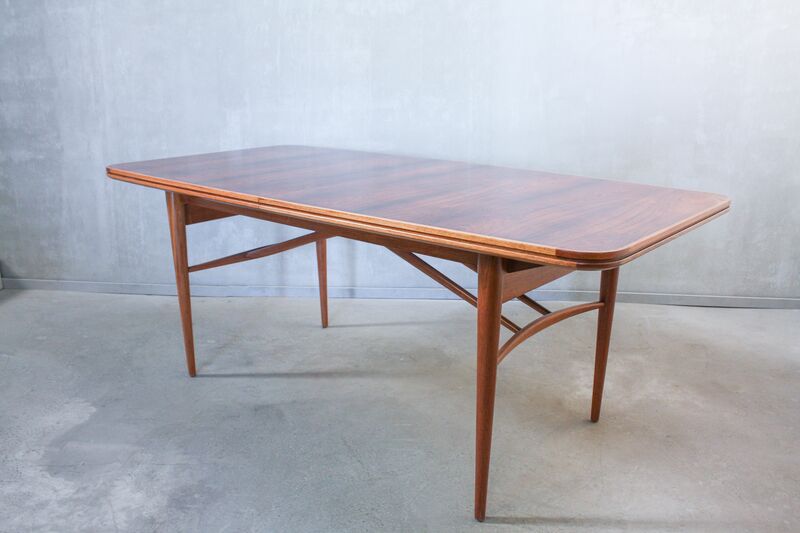 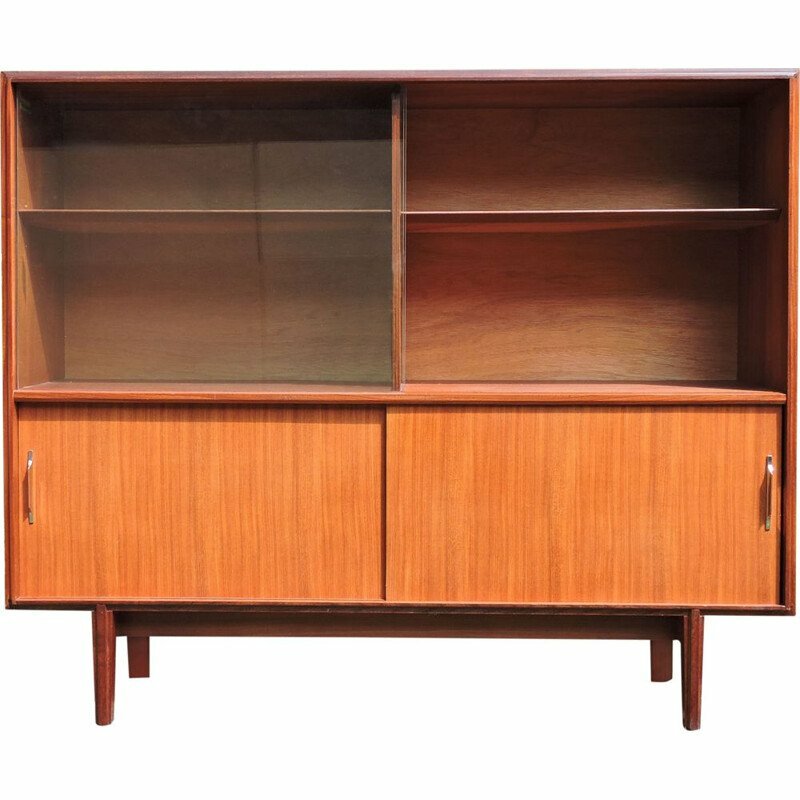 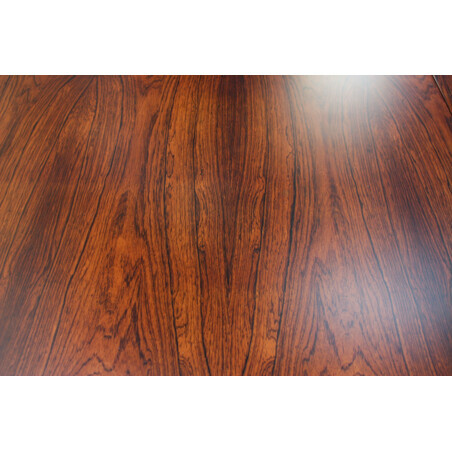 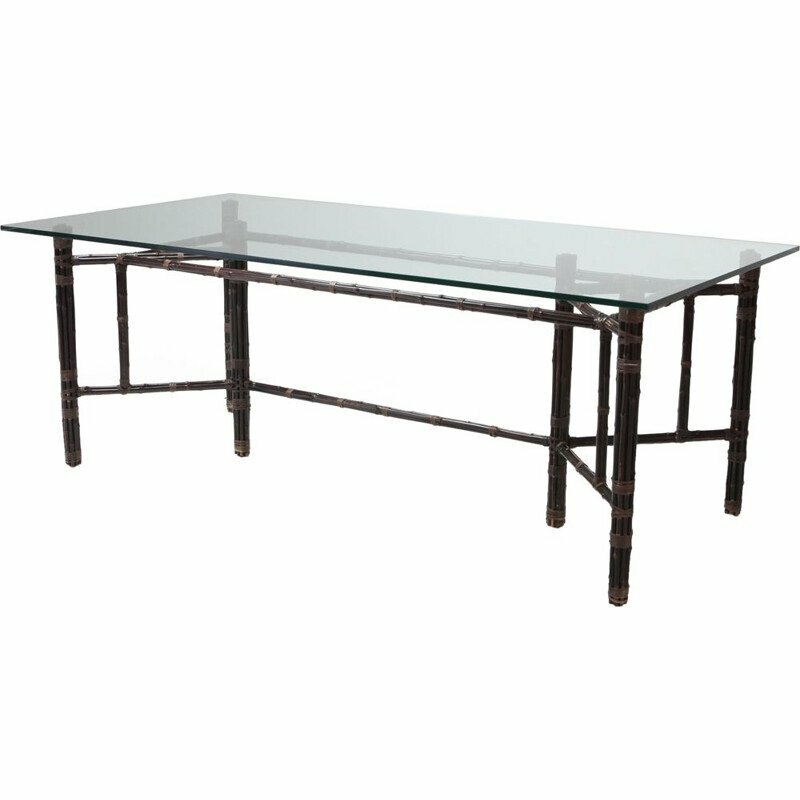 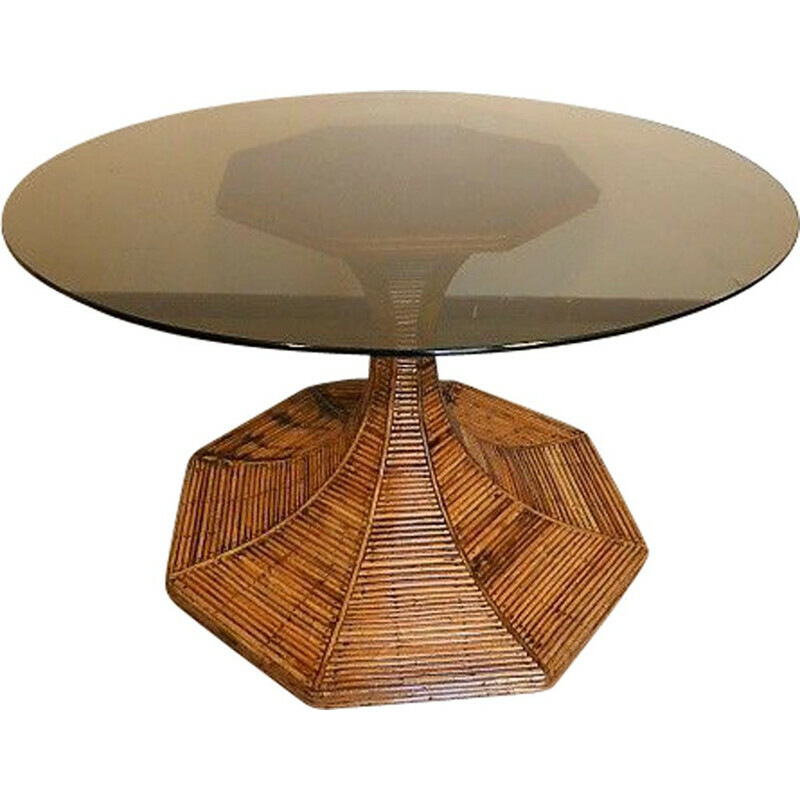 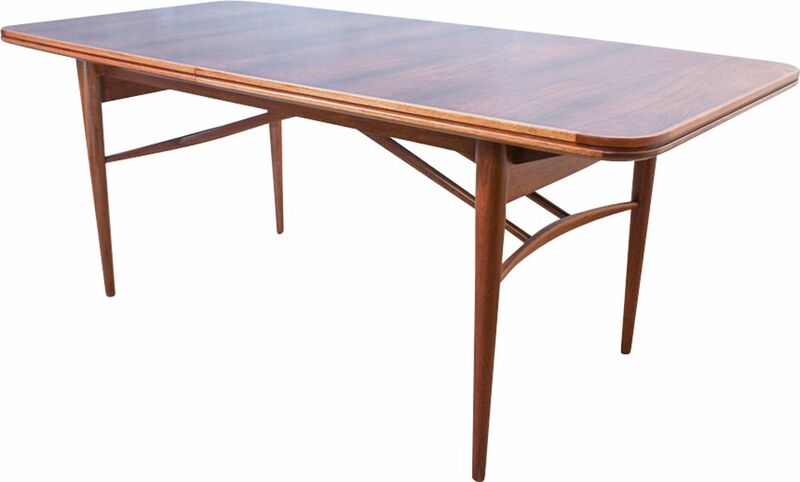 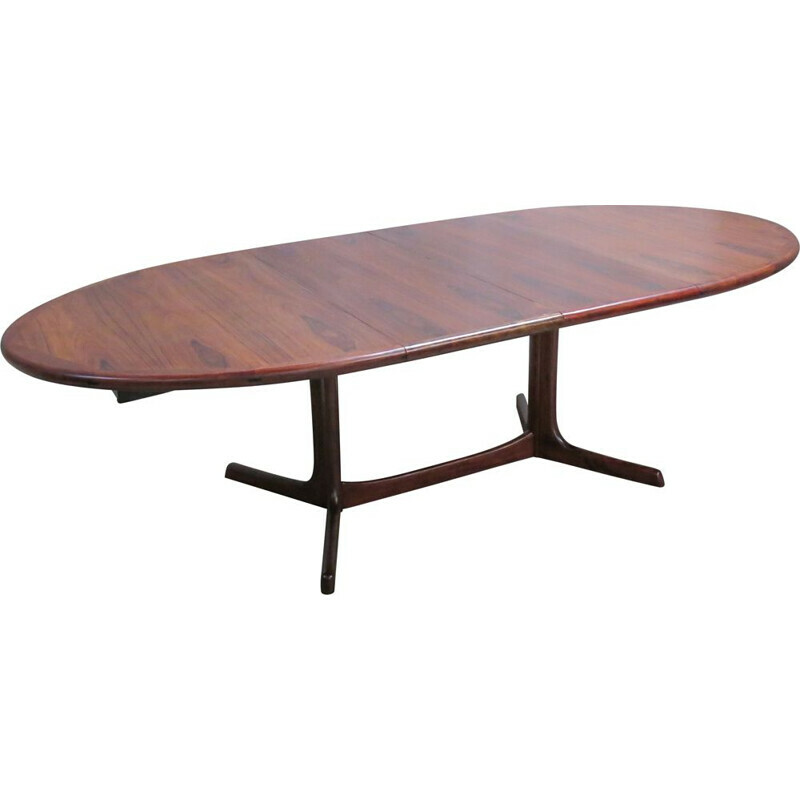 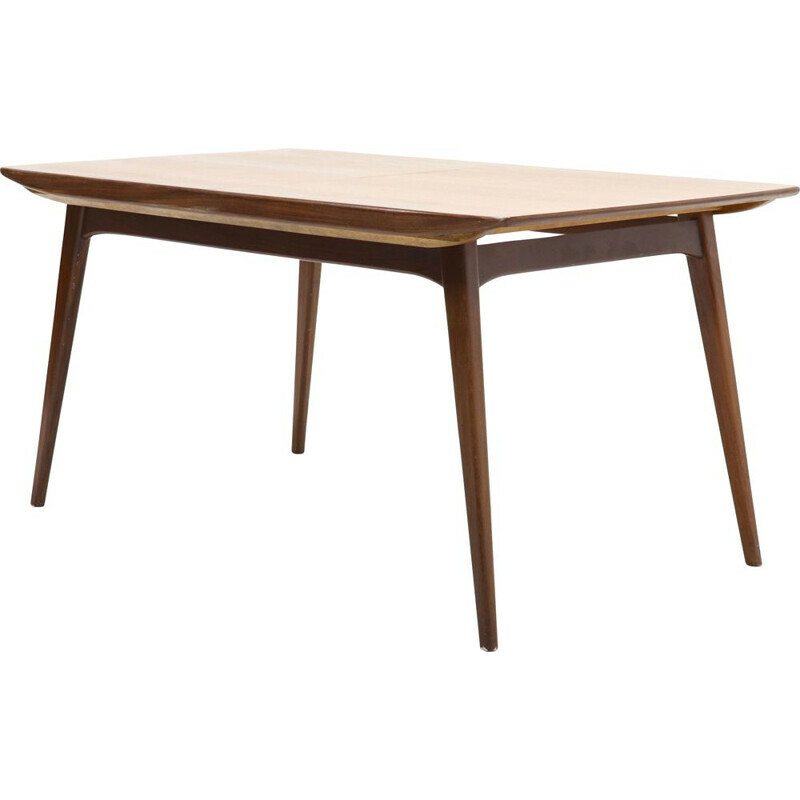 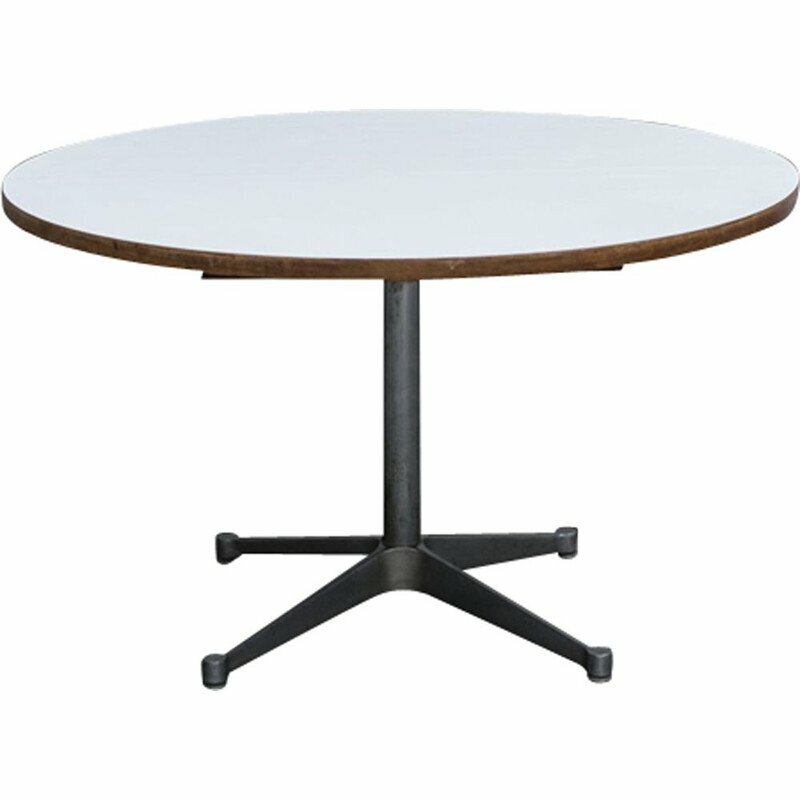 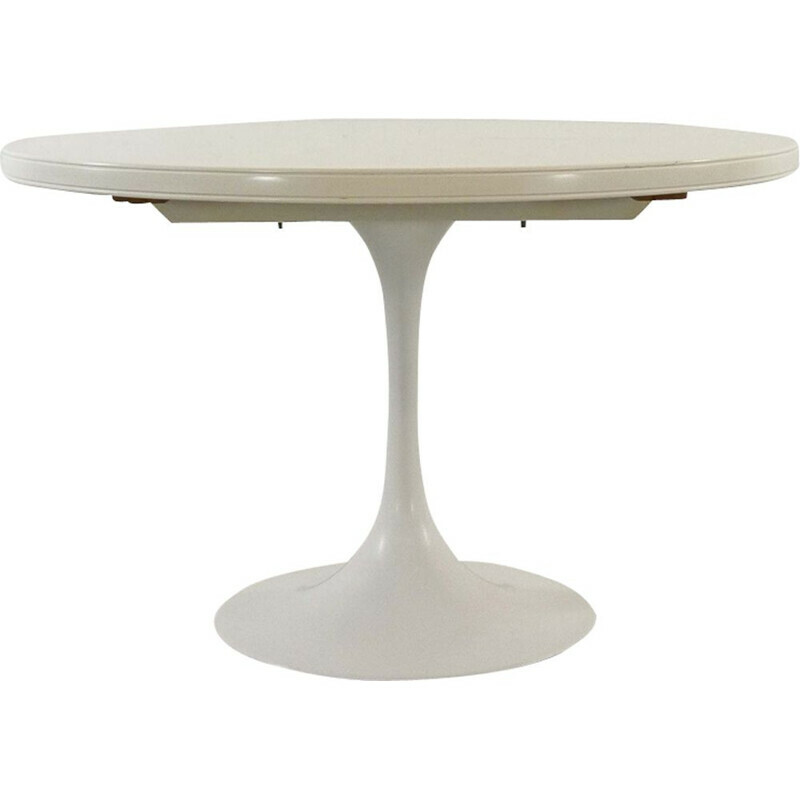 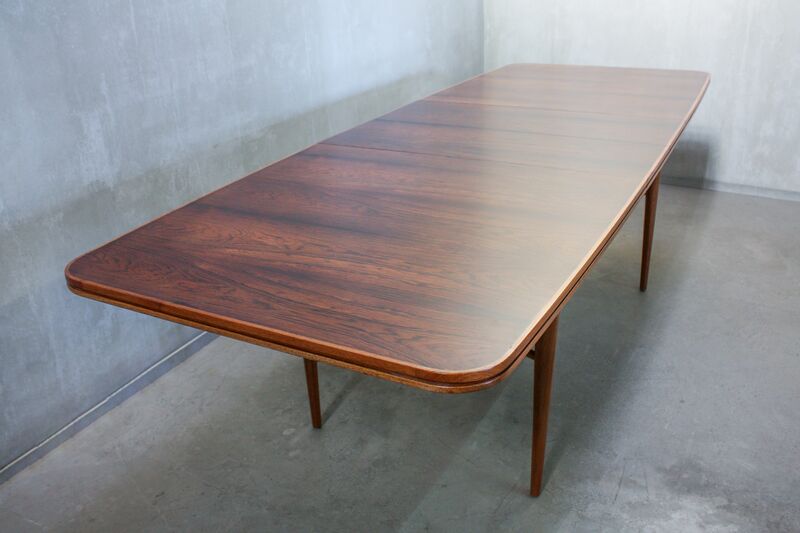 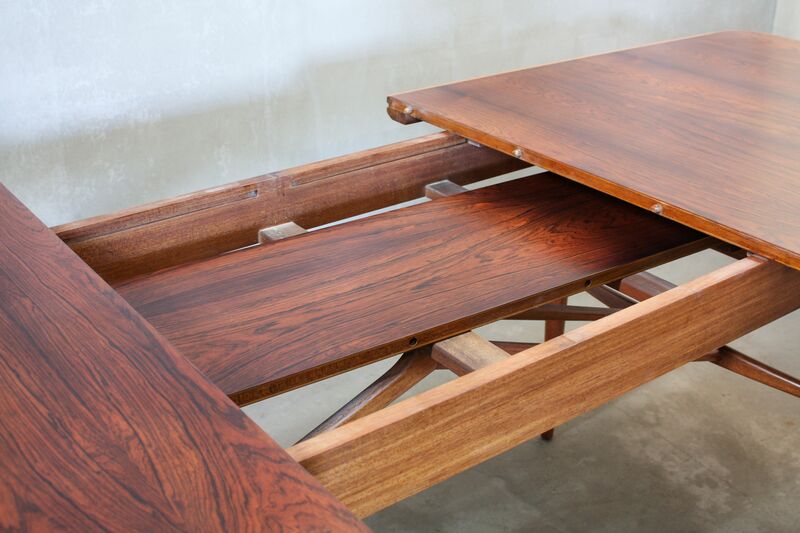 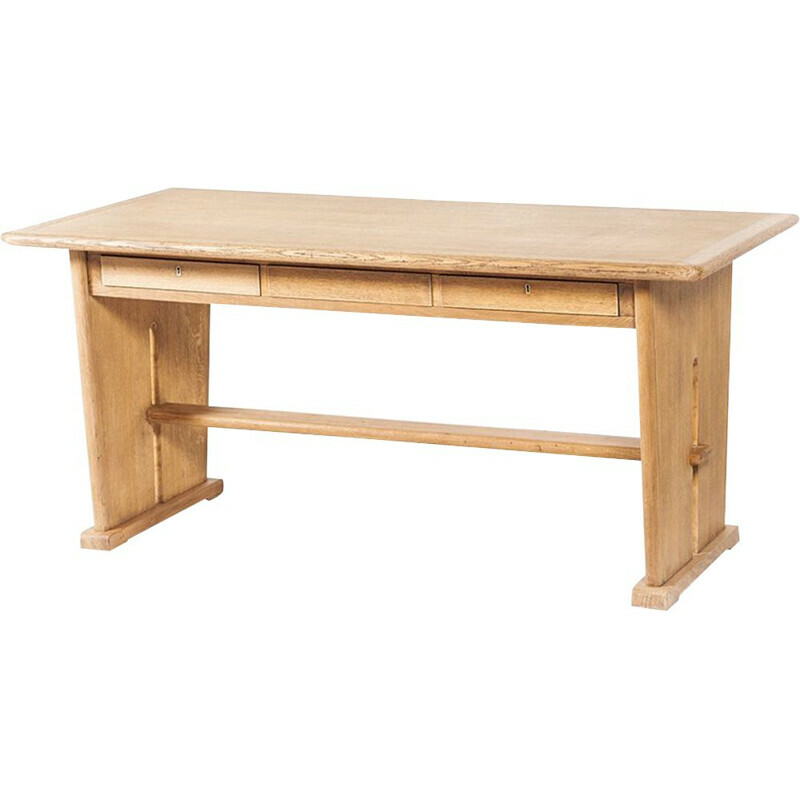 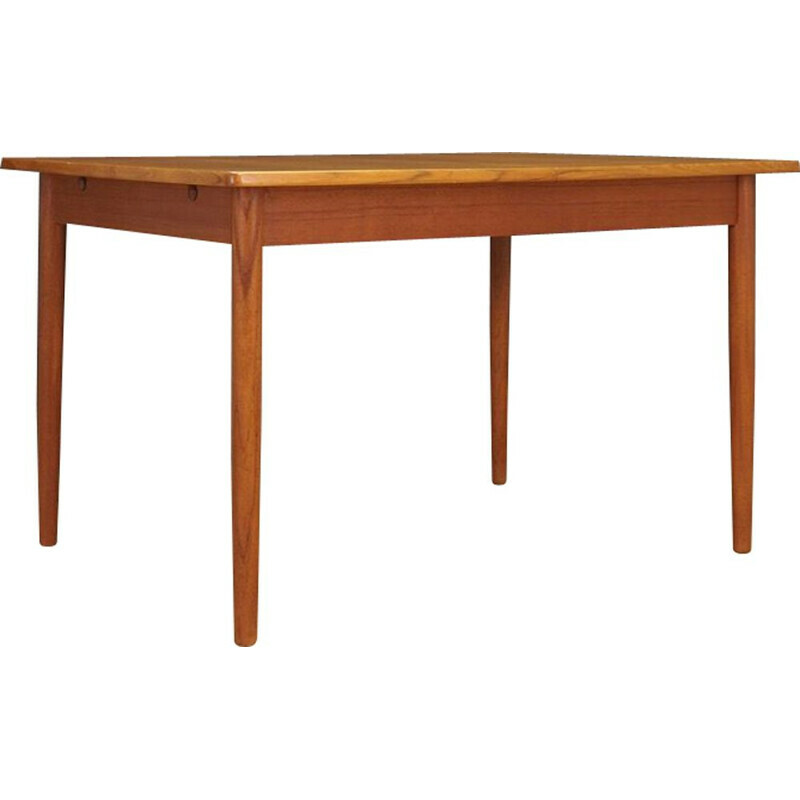 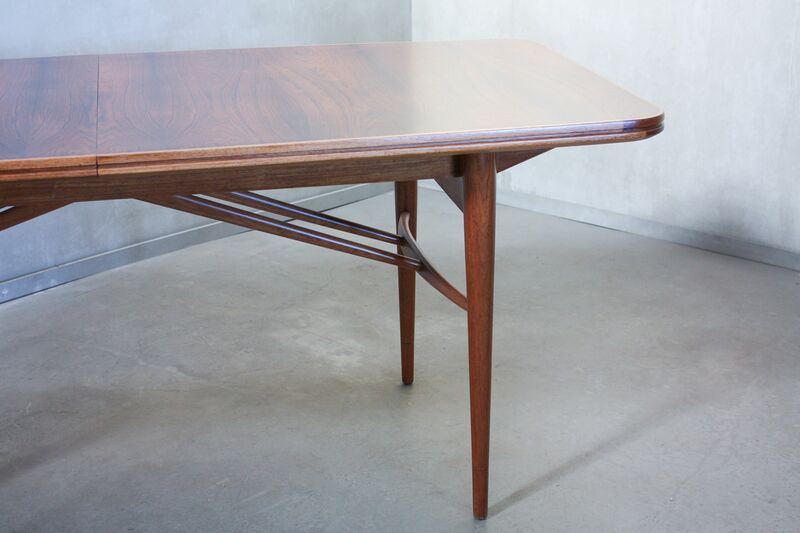 This dining table was designed during the 1950s by Robert Heritage for Archie Shine in the United Kingdom. 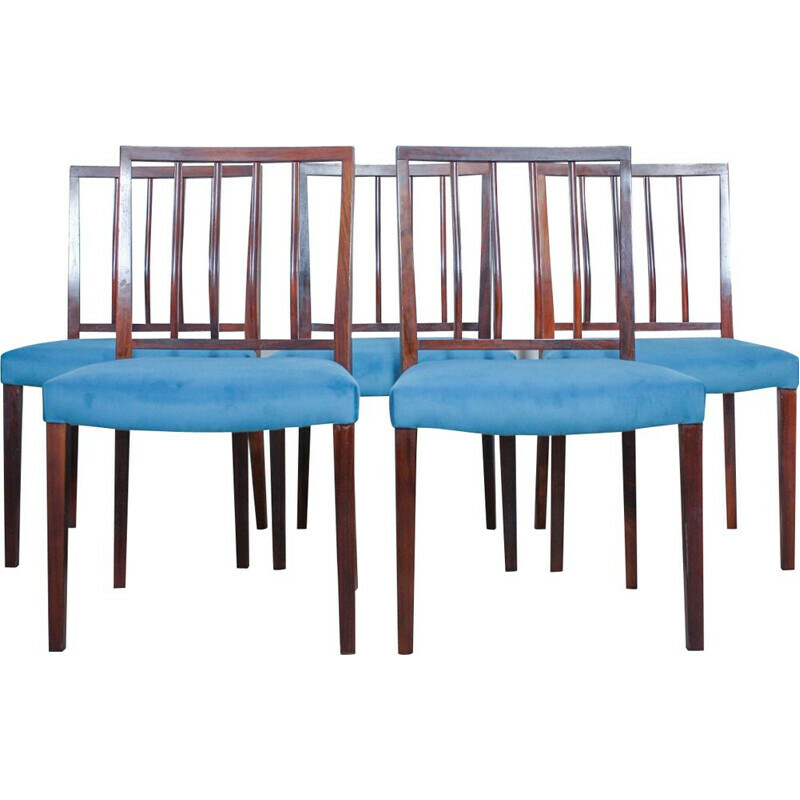 It is made from rosewood and teak, and it can be fully extended to seat up to ten to twelve people (max. 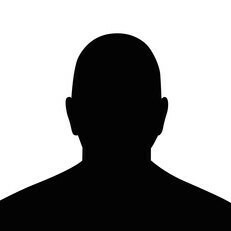 242cm). 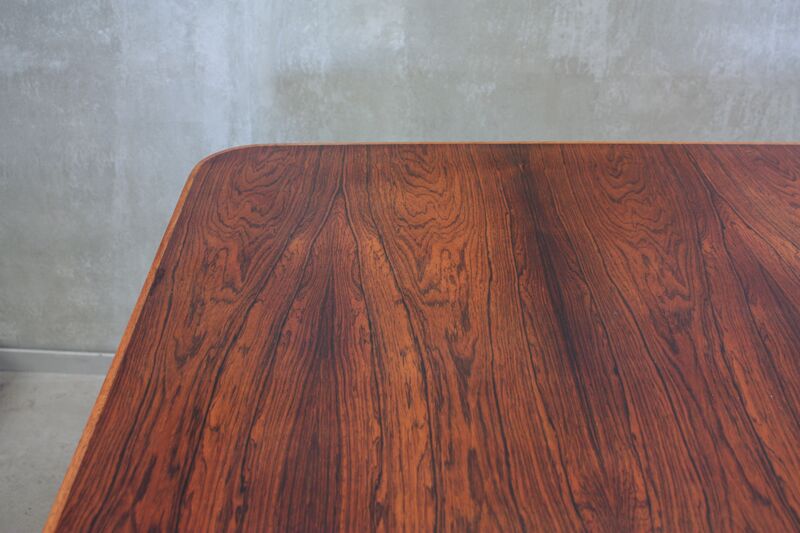 It has been recently restored.